Im a Fan of Erini Restaurant... Are you? Fill in the below form and you can recommend ‘Erini Restaurant’ to a friend or family member via a text message. Show your support with a quick share of ‘Erini Restaurant’. I haven’t been there in since last fall, because the “chef/owner” was yelling at a server right in front of me at the bar. It completely turned me off. The food was ok. But to treat your employees that bad was horrible. I will never return. Unique atmosphere, great service, and excellent vibe. This is a real gem , It became our favorite happy hour ,the staff makes you feel like best friends and family . One can not say enough about the food beautifully prepared and presented. We have seen this humble restaurant transformed for summer ! I have been to Erini Restaurant many times. The staff are always kind and helpful. The decor inside and out are pristinely maintained. The food is always delicious with many new items on the menu and daily specials. 5 stars from me! My girlfriend and I have been going to Erin\\\’s for three years now. We met the owner when he was working on cutting bamboo for the Tiki Bar. I admire the tikis and told him I had a friend that was handy with a saw and maybe he could carve one for him. Nick was so excited at the prospect he gave me his card and signed it on the back for us to get a free dinner. Who does that to a person the first time they mee? My friend did not come through with the Tikis, but we have given it some other tikis that I found in thrift stores. To say this is the best restaurant I have ever been to would be an understatement. I cannot think of 10 restaurants combined that have the quality of food, quality of service, ambience, and friendly and helpful and super efficient staff that Erini\\\’s has. Whether the patron is a regular or there for the first time, the staff treats you like gold there. Renys goes the extra mile because Nick and his staff are dedicated and passionate about what they do. Everything is great, the food, atmosphere and staff. Great time every time I go there. Always consistently excellent with friendly and professional service. Our server, Eleni, is fantastic. I go there often for happy hour, the wine and apps are great. The regulars are really friendly, and the staff and service is exceptional. 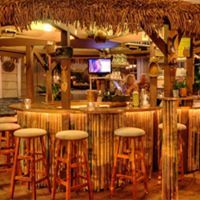 Best food around and drinks at the tiki bar make you feel like you’re on vacation. Staff truly goes above and beyond and make you feel like family!! Nick treats everyone like family when you are his guest, the food is amazing, the inside is classy and the outside is amazingly fun! Delicious and innovative food, beautiful atmosphere and a staff that is both very professional and friendly. It is a “win, win” going to Erini! Always the best and friendly service staff. The atmosphere is always inviting and friendly. The bartenders take pride in their craft and aren\’t just slinging drinks. I have had everything from apps to dinners and have never been disappointed.. Eating at Erinis is always a dining experience, your sure to experience the wow factor. I was taken here for my birthday and went out with friends once as well. The food is to die for and the staff and ambiance are perfect. WHAT AN ABSOLUTELY OUT OF THIS WORLD EXPERIENCE ! Nothing like it around….The food incredible, the presentation perfection. The staff couldn\’t be nicer and the best part of all the breathtaking scenery…..outdoor AMBIANCE impeccable…you will not be disappointed …!!! ERini is my favorite restaurant in my hometown. It overlooks the Delaware River, which is the perfect setting for the gorgeous tiki bar. Food is awesome, with many daily specials! Drinks are fantastic and made by the best bartenders ever! We visit ERini every week and have never been disappointed. The food is excellent, and the drinks are a real treat, so we keep returning to our favorite place on the Delaware, ERini! You honestly won\’t find quality and quantity anywhere else. Their food is absolutely delicious. The atmosphere is always classy and peaceful. The best food in the area. The staff is always helpful, warm & knowledgeable. Incredible hospitality in a beautiful setting and scrumptious food. Indoor or outdoor seating. Chef and staff of highest quality. Every item we’ve had from the menu is fantastic. The presentation, the taste, and the uniqueness truly exceeded our expectations. The venue is beautiful with the plants and flowers. The staff is terrific and the bartenders are mixologists. Excellent cocktails using the freshest ingredients. Highly recommend. Erini’s is my favorite restaurant! The food is the best! The atmosphere is incredible, especially the outdoors. Chef Nick and Chef Chris are amazing!! Very friendly and professional staff! I had my wedding/reception here and the staff and food were amazing. Top of the line food and great service. You can’t ask for a better restaurant! Love Erini! Food is fabulous! Whether you are looking for a quiet dinner for two or meeting friends for happy hour, this is the place! Staff is awesome! Amazing food/drinks and the service is always impeccable! Just had dinner there last night. Sat in the garden area with my husband and had a delicious dinner with wonderful green views of the area. Kyle was our server and he was outstanding! Erini’s menu is varied and delightful. I often go there for lunch and have nothing but wonderful things to say about Erini’s and their outstanding, attentive and warm staff! Highly recommend!!! Erini is our favorite date night restaurant! The food is delicious, the wait staff are delightful, and the atmosphere is warm, inviting, and romantic! Truly a hidden gem!! Amazing food, knowledgeable staff, in a perfect atmosphere ! !